I am sure everyone in the world has heard of (and probably read) this book. 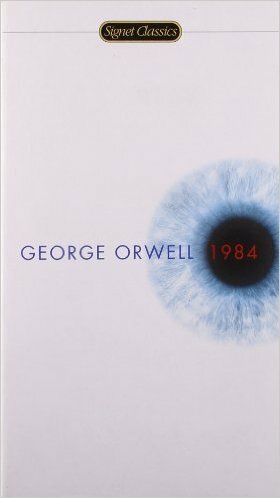 This book was written in 1948, so 1984 was the future. It was George Orwell's take on what the future would look like. The world has been divided into three parts. Big Brother is always watching you - cameras everywhere you go, phones being tapped, bodies being scanned for weapons. The main character is in trouble because he wants to fight out against the folks who make the rules, and in the end......well - you have to read to find out. For me this book was.....blah. I know, I know. I should have loved it like the 3000 other people on Amazon who are probably all smarter than me. But it was slow, and it read like a user manual at some points. There were entertaining parts, and I did like some of it. I liked the idea. But it was just okay.